United Arab Emirates University is considered as the first national university in UAE. UAEU started their journey in the year 1976. Sheikh Zayed Bin Sultan Al Nahayan is the key person for the establishment of this university. As per 2011 reading there are almost 12000 students and 650 faculty members in the institution. Students can complete a graduate, post graduate or a phd from UAEU. This university is located in Al Ain which is named as garden city as it includes some famous parks and gardens. Check out the official website of UAEU for course details. From the name itself it is clear that AUD is started for serving students in American Standards. This university is following American curriculum with expert faculties. AUD started its operations in October 1995 with 165 students. AUD is now a independent institution and is recognized by SACS-Southern Association of Colleges and Schools. AUD not only give importance for studies but also provide students some leisure activities like AUD Desert safari, International Night, Ramadan Tent, AUD Gala dinner etc. A student can complete a graduation or under graduation from AUD. You can see the AUD official website for admission procedures. 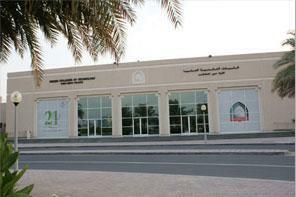 American University of Sharjah (AUS) started their operations in the year 1997. Aus is one of the leading university in Sharjah which follows American standards. The founder of this university is Sheikh Dr. Sultan Bin Mohammad Al Qassimi who is the member of supreme council of UAE and a good ruler of Sharjah. AUD is a leading University in Gulf which is accredited by Commission on Higher Education of the Middle States Association of Colleges and Schools. This university is also recognized by Department of Education of the State of Delaware in US. All classes in AUS is conducted in English language. Variety of courses offered in graduate and undergraduate level. There are total 13 master degree programs offered by AUS which are divided as College of Arts and Sciences, College of Engineering, College of Architecture, Art and Design, School of Business and Management. The Petroleum Institute(PI) has started its operations in the year 2001. The main vision of this institute is to provide a better education in engineering and research field. This institute is sponsored and affiliated by Abu Dhabi National Oil Company (ADNOC) and four major international oil companies. The petroleum institute provide Bachelors degrees in Chemical, Electrical, Mechanical, Petroleum and Petroleum Geosciences. This institution also provide master degree in Chemical, Electrical, Mechanical and Petroleum Engineering. As per the latest figures there are currently 1000 undergraduates students and 50 graduate students in this institute. For more details about admission procedures of PI please visit the official website of Petroleum institute. Dubai Medical College is one of the rare institution in Dubai which is providing medical education for girls. Students can take a bachelor degree in Medicine and Surgery in UAE. DMCG is a best platform for girls to perform in medical field. DMCG is known for first private college Girls in UAE. *Attested copy of Higher secondary certificate. *TOEL/ILETS score report and for American board TOEFL and SAT1 score sheet. *Students must pass out entrance exam in chemistry and biology in English or Arabic language. *Students has to pay a registration fee of 150DHS. *Final selection will be on the basis of written test and personality tests. DMC is started in the year 1989 with the aim of providing post secondary education to the citizens of UAE. This institution follows International standard where students can make an excellent technological career in both private and government sectors of UAE. With the latest study there are 1800 students in DMC. Dubai men's college offered various diploma programs which includes Applied Communications, Engineering, Business and Information Technology and also bachelor degree in Business Administration, Information Technology, Engineering Management, Construction Engineering and Applied Communications. Currently there are 1750 well qualified faculties in DMC. Emirates College for Management & Information Technology (ECMIT), one of the best college in Dubai where you can build an excellent career in Information technology for Management. ECMIT is located in Al Nahda Area II, Dubai and started their journey in the year 1998. Students can take a science degree in Business or IT with high quality standards. The main aim of ECMIT is to provide a good education for making a successful career for students. This college also offers paying fees in installments. For getting admission students have to provide Secondary school certificate with an average mark of 60% along with TOEFL score of 500. For mare details about admission please contact the ECMIT office with the address given below or the official website of ECMIT.